This is the fourth part of a series of articles celebrating the 50th anniversary of Doctor Who. Over the years there are certain stories that mean a lot to me either from personal memories or involvement I had in fandom through the years. These articles are not meant to be close examinations of the plot or production but more about what these stories mean to me on a personal level. Enjoy. There are some things I will always pay attention to in Doctor Who. One of those things is if the Cybermen appear in the series. I love the Cybermen. More so I love the look of them. 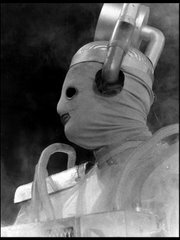 There is not one version of the Cybermen I do not love. The second story of the Sixth Doctor era was a welcome breath of fresh-air. When I saw this, the week previous I had seen The Twin Dilemma. I say the week previous because in my neck of the woods in the Twin Cities of Minnesota, stories were shown as movie versions once a week. For me The Twin Dilemma was unfortunate…. 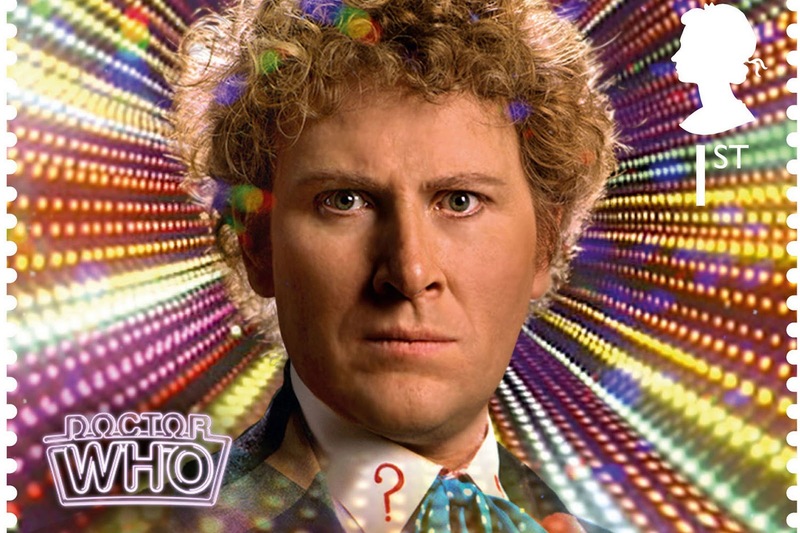 I do wonder how different things would have been if the Colin Baker era had started with Season 22 opposed to his first story being the last story of Season 21. I don’t think there is anything wrong with starting off a new era of a Doctor with a bold, brash interpretation of the role. Each Doctor is very different from the previous one, well that’s the theory. When I watched The Caves of Androzani for the first time, it was a real interesting experience for me. I was young and not into reading the magazines; I didn’t even know they existed. I had no idea that Peter Davison was leaving the series. That was a massive shock for me at the end of the story. I was a massive fan of Davison’s Doctor. I was interested in seeing where the story between him and Peri would go. I remember being shocked at the beginning of The Caves of Androzani because so much had changed for me. The last story I watched was Resurrection of the Daleks. At the end of that Tegan left which was a shock for me too but then I missed watching Planet of Fire because I was at a wedding. In fact that was the second story of the first run of Season 21 I missed and I was one unhappy child. So when The Caves of Androzani began, I was really surprised that there was no Turlough but this new companion Peri had taken his place. Everything about the story seemed different; it was like nothing I had ever seen on Doctor Who before at that point. The Doctor heroically gives his life to save his young companion. Even as a young boy the impact of this gesture was heartfelt. Then the Doctor regenerates. I didn’t know it was going to happen and after he regenerates and sits up, I thought at first it was still Davison but with a perm. I honestly thought this was a way to introduce a new hair style for Davison! Of course then it set in this was a different actor as he started to insult Peri immediately. In the UK after Part Four of The Caves of Androzani came Part One of The Twin Dilemma. 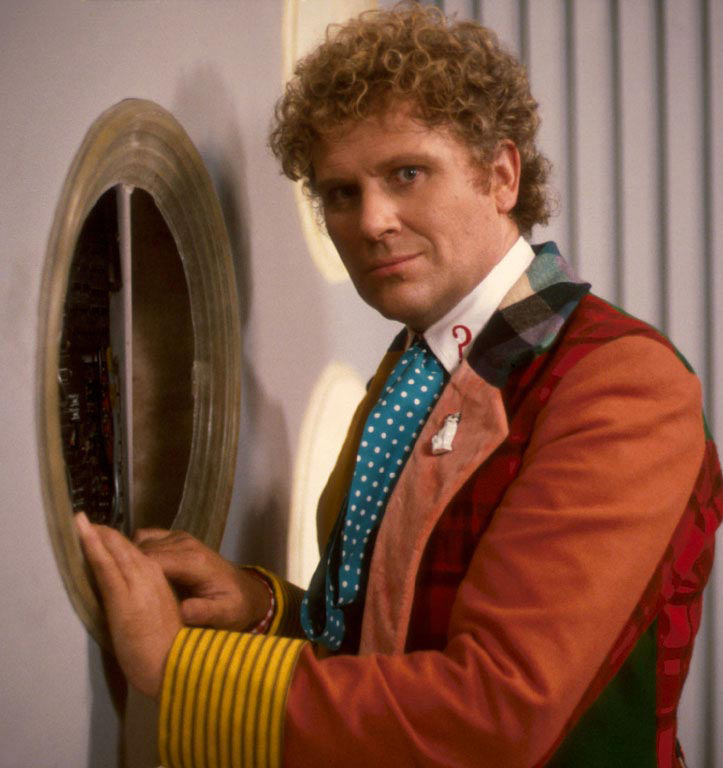 For us in the US, The Caves of Androzani effectively ended Season 21 and The Twin Dilemma was held over for Season 22 or more accurately put the Colin Baker syndication package through Lionheart. The Twin Dilemma is an uncomfortable experience for me. The stuff with Mestor and the Gastropods are fine. I think they look fine. I wasn’t aware at that time that historically last stories of a season may have a lot less money available than other stories. This production did look cheap. A lot of tinsel or silver sparkly crap and costumes made of purple reflective material. All of this was fine but the Doctor was horrible. I understand the whole concept of post-regeneration trauma but I think it was irresponsible for the production team to allow the Doctor to try and kill Peri. Didn’t I just get done saying in the paragraph above that the Doctor just gave up one of lives to save her? So, he regenerates to only go on to try and kill her? How did JN-T find this acceptable? Peri is truly one of the most accepting and forgiving humans in the history of humanity. This was the new image of a character that started out 21 years ago that was left with the British viewer for months until the series returned with Season 22. For us in the US, luckily we only had to wait for the following week. Of course the wait between Season 21 and Season 22 in the US seemed to take forever at least in my city. It probably was nowhere near as long as I thought but it felt like years. 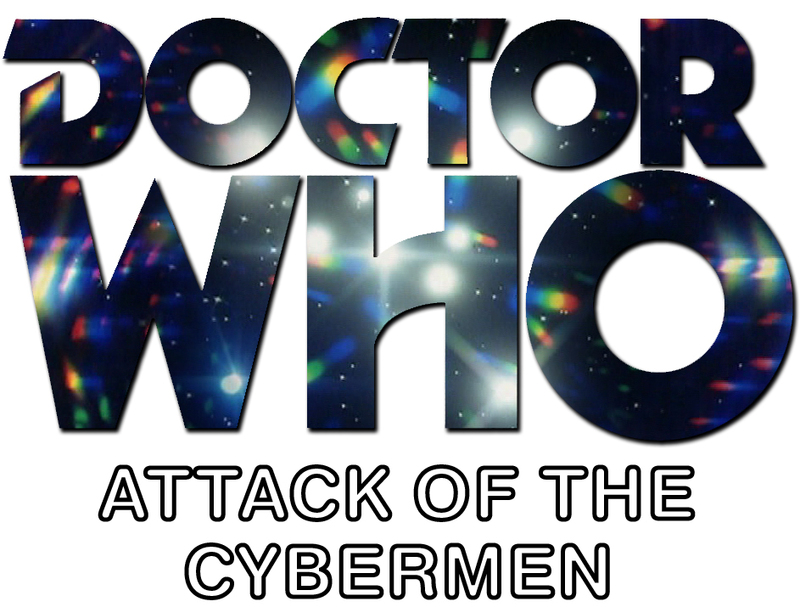 The Twin Dilemma was a bust for me but looking in my TV Guide, I saw the next episode was Attack of the Cybermen. Immediately things started to get better for me. 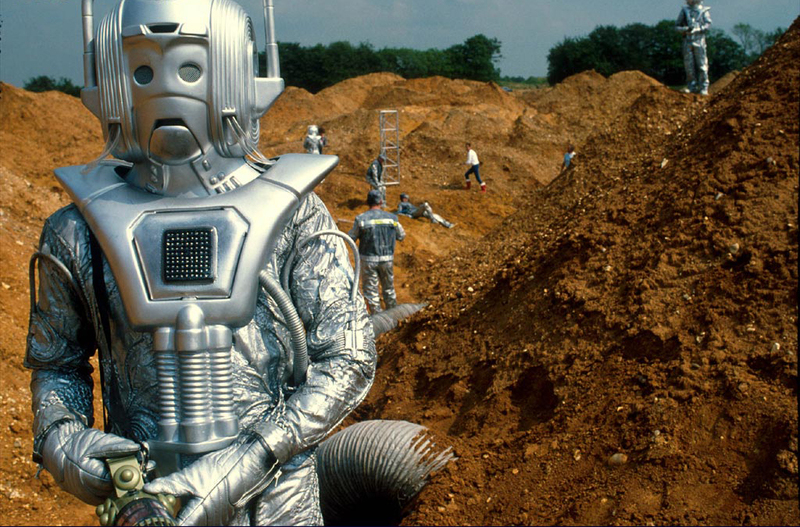 The cool underground sequences in the sewers, the tombs of the Cybermen on Telos, the concept of the Cybercontroller, the idea of the Cybermen’s original world coming to Earth in 1986. These were all amazing concepts that I loved. Of course, I had no idea at the time that these concepts were already in place in other stories. None of these were new. Looking through old publications of the time, fans picked up on this right away. After I found out that all these ideas turned up in other stories, it made no difference to me. I still loved it. I think the 1980s version of the Cybermen looked best in this story. The costumes seem cohesively put together, the head piece does not look like a mask. It looks much more integrated into the rest of the costume. I was so taken by them in this story that I remember a friend and I made our own Cybermasks out of brown grocery bags. It actually wasn’t that bad for what it was. That is of course if you like your Cybermen looking like they are made out of brown grocery bags. I could have covered the mask in tin foil but chose not to because I was bored with making it by the time I had gone that far. I loved the exterior filming that included a small effect to give the exteriors of Telos a slightly bleak look to it. The music was consistent with music in Earthshock which at a young age I appreciated but then there was another cue from the music that played over and over which is stuck in my head for the rest of my life. Do you know which one I am talking about? I also remember being taken aback by the blood on Lytton’s knuckles as the Cybermen torture him. Unlike The Twin Dilemma, Attack of the Cybermen looked like it had a budget. There seemed to be unlimited Cybermen including black stealth Cybermen lurking in the sewers. It seemed so obvious that their appearance could be augmented by their surroundings. It was camouflage; it was smart. Why has this not been done again? I am a huge fan of the TARDIS console room (and still am) that was introduced in The Five Doctors. We get a ton of TARDIS shots and different rooms in this story. We get pretty compelling characters such as Lytton, Griffiths, Russell (I didn’t realize this was Terry “Davros” Molloy at the time), Payne, Stratton and Bates. The problem was they ALL die. It’s actually a pretty dire and bleak story. There are a lot of people who are trying to do different things in the story. Lytton wants to help the Cryons (Microsoft Word autocorrected this to Crayons which is fine by me), Griffiths and Payne want to make a ton of money from stealing diamonds which is a job headed by Lytton, Russell wants to apprehend Lytton because he sees him as a criminal, Stratton and Bates are part of a bigger plan with Lytton to get off Telos after destroying the Cybermen relinquishing control of the planet back to the Cryons. It really doesn’t end well for anyone. Even the Doctor gets a lesson in what happens when he refuses to believe Lytton actually wants to help. I love this story for all the reasons above. As I may have mentioned elsewhere, I always tried to get other people to watch the series with me or at least watch it on their own. When I was younger, I could never understand why people did not love Doctor Who as much as I did. Doctor Who would air here in the Twin Cities on KTCA on Friday nights and Saturday nights starting at 10pm or 10:30pm. When the Colin Baker stories debuted on this station, I believe it was around October/November of 1985 and it was on Friday nights. Some of my favourite memories were being in grade school (it was a Catholic school) and waiting all day Friday during school for Doctor Who that night. It was all part of the anticipation. It made the day so exciting to make it through an autumn day and knowing that a school week would end with new Doctor Who. 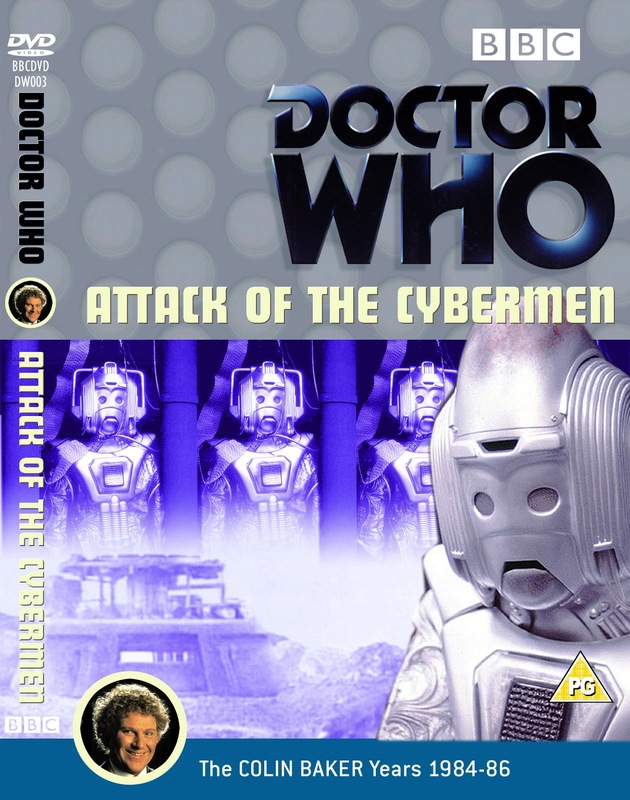 The Saturday morning after Attack of the Cybermen aired, my Dad was at the kitchen table and mentioned to me that he was channel surfing on TV the previous night and caught some of the story. This was where I was hoping he would say that he actually liked it. His response was simply, “it was lousy.” Of course he would say that! Jump forward 28 years, both him and my Mom watch Matt Smith on BBC America. In May of 1985 there was a big event that was announced on KTCA. Peter Davison would be making an appearance at an old venue in St. Paul called the Prom. I would have been 11 at the time and I remember seeing this promo for the event on KTCA that took footage from Warriors of the Deep and I knew I needed to be at this event. The concept of meeting someone from the series or that fact that such an event even existed all because of a TV show was truly alien to me. I knew that if I didn’t go, I would never have a chance to meet Peter Davison again. This was almost true; I have met him only about 15-20 or so times since. Some occasions have been quite awkward. Anyway, my Dad told me he would take me down there on the night to go to this event. I had no idea what to expect. I also had absolutely no clue about the fan base for Doctor Who in Minnesota. Seeing how I couldn’t really find anyone I knew who was interested in the program I figured it would be a low-key affair. I suspect there would be a few people there. Perhaps there would be some merchandise. Maybe a few people would be interested in meeting Peter Davison after all he was also in All Creatures Great & Small so perhaps there would be some fans of that series there too to fill out the venue. This was a Friday evening and once again all day at school I was super excited to go to this. I simply couldn’t wait. I was telling all my friends what I was doing that night. None of them cared. I get home from school and my Dad and I drive out to University Ave which was the street the Prom used to be on. As we got closer the anticipation was ramping up. There seemed to be a ton of people out that night. Little did I realize there were all there to meet Peter Davison. The line was wrapped around the building. It was chaos. It was a small scale Longleat. My dad pulls into a parking lot but not to drop me off but to turn the vehicle around to get back on the freeway and to go home. That was my first Doctor Who convention. Jump forward to October of 1986. Watching Doctor Who on a Friday evening with my Mom and another promo comes on for a chance to meet Colin Baker and Patrick Troughton. Two Doctors – one convention. This time it was at the Minneapolis Armory. I looked at my Mom who just looked back at me and said no. She remembered the last incident. I could hardly blame her. My Dad’s career consisted of being a sheet metal worker. What he did was fit sheet metal to the tops of buildings under construction. It was a very serious craft and he worked his way from apprentice on up. It was extremely demanding and exhausting work. I think it was more dangerous than he would ever say. This is what he did to provide for me and to give me a good life. Most nights he would come home exhausted and fall asleep by 7pm. It was demanding work and he has physically paid the price for it. 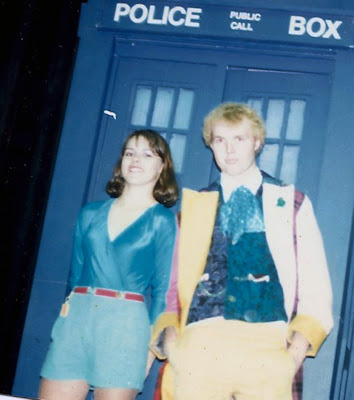 The reason my Mom said no right from the start was because she knew that this was also going to be hugely busy just like the Peter Davison convention and this venue was in downtown Minneapolis. Neither my Mom nor Dad wanted to mess around driving down there. I was cool with that. This time, I figured maybe someday I would have a chance to meet Colin or Patrick. I would be half right. It’s clear that any convention should not be a few hours on a Friday night. This sort of thing should breathe over the course of a few days so not everyone has to accomplish the same thing in the same amount of time. By the time I was able to meet Colin Baker, it would have been at one of the Visions conventions in Chicago. I don’t remember the first Visions Colin attended. It may have been the 1993 30th Anniversary convention or maybe even 1991. 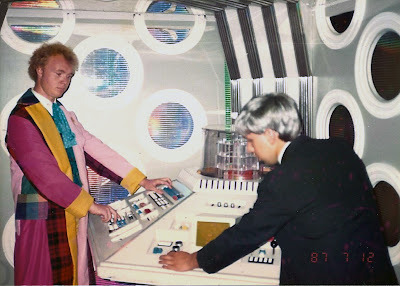 I know that 1990 was Jon Pertwee. The Visions conventions were always packed with guests from multiple series. These were huge; they were huge names and they mostly all were flown over from the UK. These couldn’t have made money for the convention organizers but they certainly were able to hob-knob with their idols….at a price. Going to some Colin Baker panels, it was immediate at how engaging and talented he was in person. He had an incredible quick wit and really was genuine in his appreciation of the fans. I could see how his audition to play the Doctor was him being his entertaining self at a wedding that JN-T attended. Maybe further reading for the part should have been required but he has an electric personality. Why could he have not been allowed to play it more that way? Watching him perform in the Cabaret at conventions has always been fun. My favourite memory of him was at the volunteer party at the end of one of the Visions. At these things, all the volunteers get together, have pizza and if the guests are still at the hotel they would come down and mingle. At the Visions conventions volunteers would also get a nice glossy picture of all the guests together in one picture and these guests would sign their autographs over themselves. It was pretty cool! When Colin Baker showed up, he came with this big package. Like a box. He opened it up and inside was posters. These posters were original artwork of Colin as his Doctor. I have never seen this artwork before or since. Perhaps it was done by Gail Bennett who was an American artist who did a lot of Doctor Who pieces including one that ended up in Timelash. While the other guests were all drinking and generally talking with each other and not the volunteers (which in all honesty is fine), Colin sat down with these posters at a table and started to sign them. He invited these volunteers to come up and take these signed posters as a thank you from him for the work we did on the convention. When we went up to his table to get the posters, he thanked each of us individually for the work we did on the convention. I was deeply touched by this and it has never left me. Truly it was one of the most humbling moments of my time going to conventions. 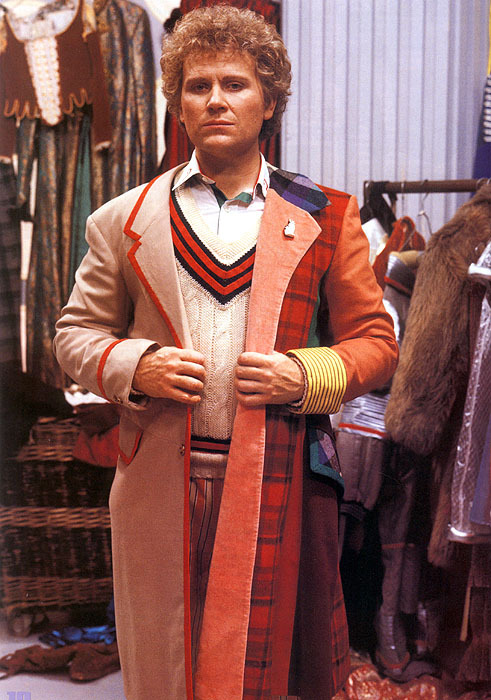 It gave me an immediate insight into Colin Baker. I have heard and seen many times over the years his generosity of time and commitment to fan organizations and I appreciate it. If you ever have a chance to meet Colin Baker, please do so. He is beyond being a nice guy. 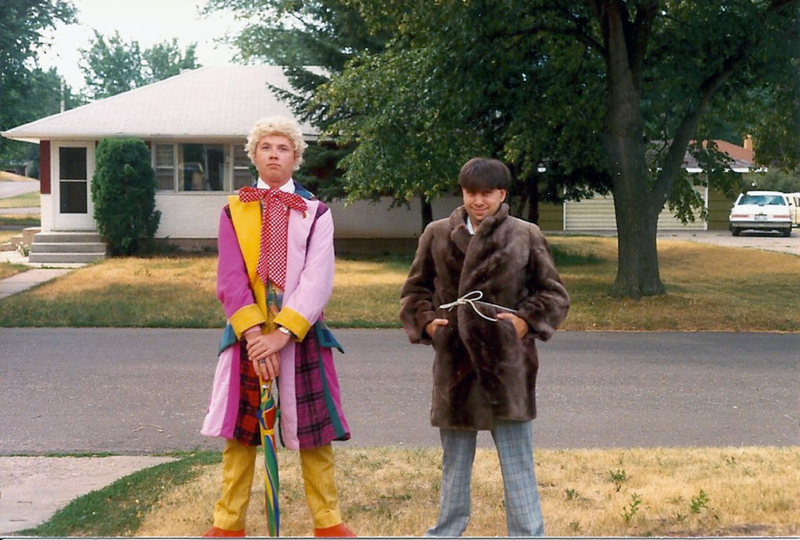 Of course, I spent many years hanging out with the Sixth Doctor……well sort of. Page 1 to the script for Eye Strain. I don’t know if I ever mentioned it before but I was a part of a Doctor Who fan club called The Whoniversity. Of course I am kidding as I have mentioned it in many articles before….almost too many to mention! I do so because getting involved with that club had profoundly changed my life. I have met one of my closest friends at my first meeting I went to for The Whoniversity. Roger and I are still good friends to this day. 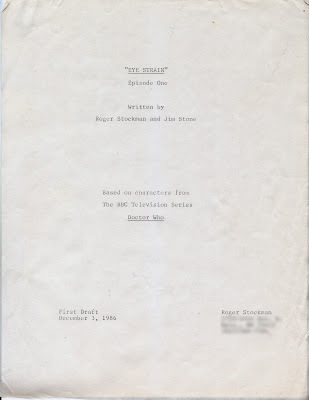 The whole point of the first meeting that I went to was to have a look at a script that The Whoniversity was going to produce written by Roger and his friend Jim called Eye Strain. 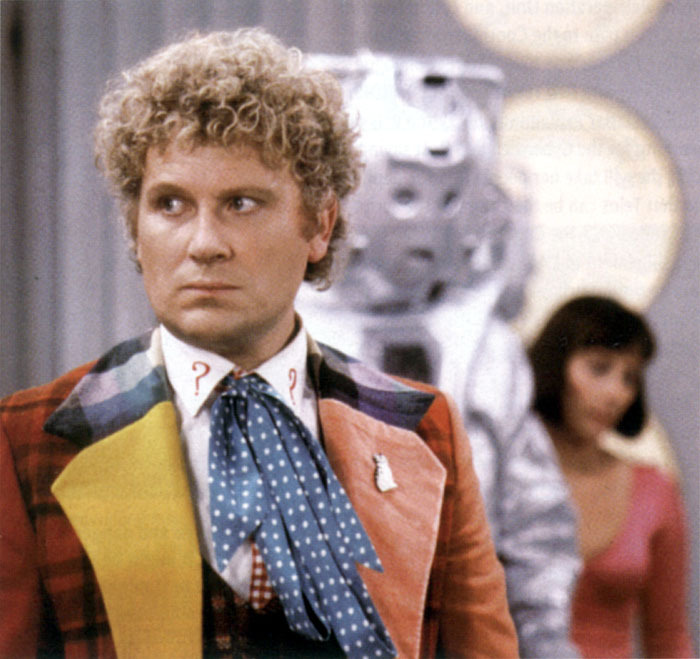 Eye Strain was a Sixth Doctor and Second Doctor story and immediately took place following the events of Revelation of the Daleks. Jim was to play the Second Doctor and Roger was to play the Sixth. I think anyone who is into making Doctor Who costumes will know that there is one costume most people will avoid attempting to make. That is of course Colin’s costume. Roger made it. In fact it would be a personal insult to Roger if I said the costume was well made; it was perfect. In. Every. Detail. This costume is not only close, it is not only similar, it is perfect in every pattern and in every single detail. It is stunning. He found all the clothes and material and his mom put it together. I pride myself on being someone who can detect when details are a little off and this costume is spot on. Even the inner button down white shirt with the question mark lapels is exact. It has the lining going up the front that has the checkered patterns. The braces are correct too. Although this costume is amazing, this pic was taken before it was completely finished! I remember Roger telling me that at first the yellow pants had hand drawn lines going up the legs because he couldn’t find the correct material. One day he was at a fabric shop and found the correct fabric and tightly held on to it for the rest of the shopping in the store to make sure nobody else took it. I remember him telling me that at the Intergalactic Expo in Chicago that Colin was in attendance. He asked Colin at the panel or autograph line (while Roger was in costume) if Colin would wear his Sixth Doctor’s coat. Colin said yes and Roger gave Colin his coat at which point Colin draped it around himself. Everyone in the room started taking pictures because for us this was the first time Colin wore “his” coat since he was forced out of the series. Now, I don’t remember exactly when the Intergalactic Expo was but Colin may have been doing the stage play The Ultimate Adventure prior to that but if it was after then it would be the first time Colin wore anything like his costume since leaving the series. Unfortunately for Roger, everyone was taking pictures of this event but not him. He never got a picture of that cool moment. Roger kindly sent me this anecdote of his costume and Colin Baker, “The Two Doctors con (RonCon II) at the Minneapolis armory was the first time I premiered the costume. I didn't have a car at the time, so I took a bus from north Minneapolis all the way to Midway in St. Paul where I met up with Jim, and we got a ride the rest of the way. I got the strangest looks from everybody on the bus. I'm sure you can imagine. Then, at the convention, I stood in line to ask Colin a question. I prefaced my question with, "As you can see, I'm trying to create an exact replica of your costume." He fired back immediately, "It's pretty good, but I have more hair." So even in person, Colin could fire back the insults. Then I asked my question of what color boxers he wore in costume. He didn't even bat an eye. He immediately replied in his deadpan voice, "Paisley. Next question." I love it. Now, this wouldn’t be a article if I didn’t tie it into tape trading. I remember at probably the first Visions I went to in 1990 I met noted Doctor Who historian Jeremy Bentham. I didn’t know anyone from the UK at that point. I was desperate to get the Colin Baker stories in the proper 45-minute episodic format. Here in Minneapolis, KTCA showed the stories in movie version but Lionheart also syndicated the episodes in 25 minute episode format by taking the 45 minute episodes and cutting them at the 25 minute mark. The opening credits were re-made using a close-but-no-cigar type font. I wanted the proper 45-minute versions! Jeremy Bentham agreed to make copies for me. I think the entire season 22 in episodic format cost me $60 but that included tapes and shipping. A couple of months later I received the tapes which was quite exciting. I looked at them and saw that they were old tapes. He didn’t buy new tapes which were kind of annoying but it is also possible that they were his original tapes. I remember holding on to these tapes for a while and at a convention somewhere I ran into a fan from the Milwaukee Time Lords named Jay. Jay had a PAL machine and converter and he offered to make me NTSC copies of the tapes, I do not remember if a nominal fee was involved. The catch was that he would make me NTSC copies but he wouldn’t give me back the PAL tapes. He would only do it if he kept the PAL tapes which I thought was kind of crappy. He wouldn’t make a copy for himself and send me back the originals; he wanted to keep them. You see, I keep everything and no one tells me when I give up any of my tapes. So I declined. I rather not have it at all than giving away my PAL tapes. I eventually was able to see Season 22 in PAL and in its proper format once I got my own PAL system and bought the PAL pre-records. I guess Jay ended up lucky anyway. When I received the tapes I noticed when I looked in the VHS windows that there were tiny tape shards in there. I eventually had my friend Louis give these tapes to his friend to convert. The tapes ultimately ruined someone’s VHS machine. I blame the fact that Jeremy Bentham did not make copies for me by using new tapes. Eventually, years later and many years before the official DVD came out, I got a copy of this story on DVD direct from the master tapes with slates! It looked great and my friends and I made nice DVDs of this for our collection until we could buy the official version. Here is the cover I made for it below. One more thing about Attack of the Cybermen in regards to who wrote it. I believe Eric Saward had said that Ian Levine had little to no involvement with the writing of this story where Ian says that’s not true and his involvement is pretty evident. I believe Ian completely. Knowing and working with Ian on a number of things over the last few years, this has Ian written all over it. The continuity references are very Ian and taking elements from many of the past Cyber adventures is something I believe he would do. Before anyone thinks I am saying that is a bad thing, please re-read this article. As it happens, a couple of weeks ago I got an e-mail from a friend. I work in Advertising and got to know this person through work. He is a Creative Director and now works freelance. He comes in and works for the agency I work at from time to time on projects. He is talented and pretty cool. The e-mail he sent was simply about some Doctor Who DVDs he got for his birthday in which one of them was Attack of the Cybermen. 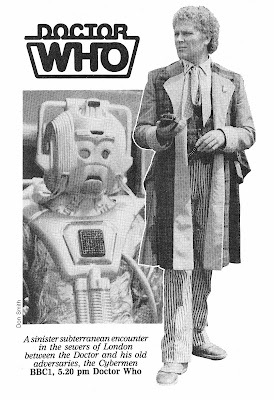 He simply wrote, “No better way to celebrate a bday than with Attack of the Cybermen...” and sent a picture of the story being played on his TV. He really likes the story just like me. In some ways I envy him because he is a casual fan who buys only the stories he wants to see; not all of them because he is by no means a completest. He is not a part of fandom that tells him what stories to like and which stories are crap; he is allowed to enjoy the stories he wants. He has absolutely no problem with the continuity references as he accepts them as parts of the narrative. He just likes Doctor Who and honestly, that works for me. 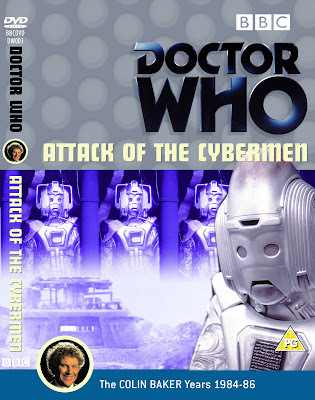 Runner up: If I wasn’t going to write about Attack of the Cybermen then I was going to write about Revelation of the Daleks. Little did I realise it at the time but it was an end of an era and as a kid, I had no idea about the hiatus or what was happening to the series at the time. Next 50WHO article: Back in 2010 was an exciting time. Doctor Who was seriously changing in front and behind the camera. The next 50WHO article focuses on the Eleventh Doctor’s debut story The Eleventh Hour but more so on how I was able to go to NY sit down and have drinks with Matt Smith, Steven Moffat and Karen Gillan along with reps from BBC America. What a night! Next week: I am trying to write regular articles again to go along with reviews. Next week I look at the final two episodes of Dad’s Army with Number Engaged and Never Too Old. Nice,will you be doing a review on timeslip(1970/71)? If so you can use my colourised pics for the review. Another great article, Greg! Thanks for sharing. I agree with you, Dave. Those WERE the days. Oh, to be young and carefree (and foolish) again! Warewolfboy, I love Timeslip and when I do an article on it, I would love to be able to utilize some of your colourised pics. I have seen some of them and they are very good. Roger, thanks for letting me use your pics and telling some of your story. It seems so long ago now when we travelled the country and went to all of these conventions and met so many people. We had to do it in person; there really wasn't an Internet! Dave, when are we getting together to show off our British television collections to each other? Hi, Greg! This is really an amazing blog. It sounds like we got into WHO about the same time, and this post really took me back to the 80s. Sheer awesomeness. Thanks! Thanks! I'm glad you enjoyed it. I have enjoyed remembering these moments I took for granted at the time but looking back I realize how lucky I was on many different levels.